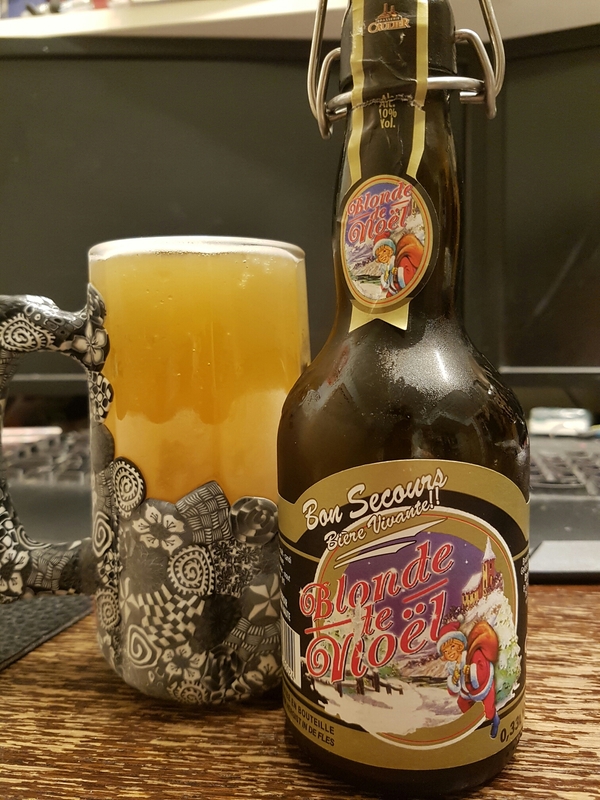 Bon Secours Blonde de Noël – Brasserie Caulier (Peruwelz, Belgium) | Justintoxicated. Visual: Resealable bailer-top. Pours dirty muddy yellow-orange with no real head, a thin ring and a big island of retention, singular scatter steady micro streams. Summary: This one is more about structure, texture and transitions than it’s rather mild flavour profile – No particular flavours grab your attention, but the ease of which the 10% ABV goes down is surprising.